Around 415 million individuals are estimated to be suffering from rosacea worldwide, according to the National Rosacea Society (1). If left untreated, rosacea can cause complications and even lead to permanent damage. Hence, it is important to treat its symptoms as soon as possible to manage the condition. In this article, we have compiled a list of natural remedies that can help in reducing the severity of the symptoms to a great extent. 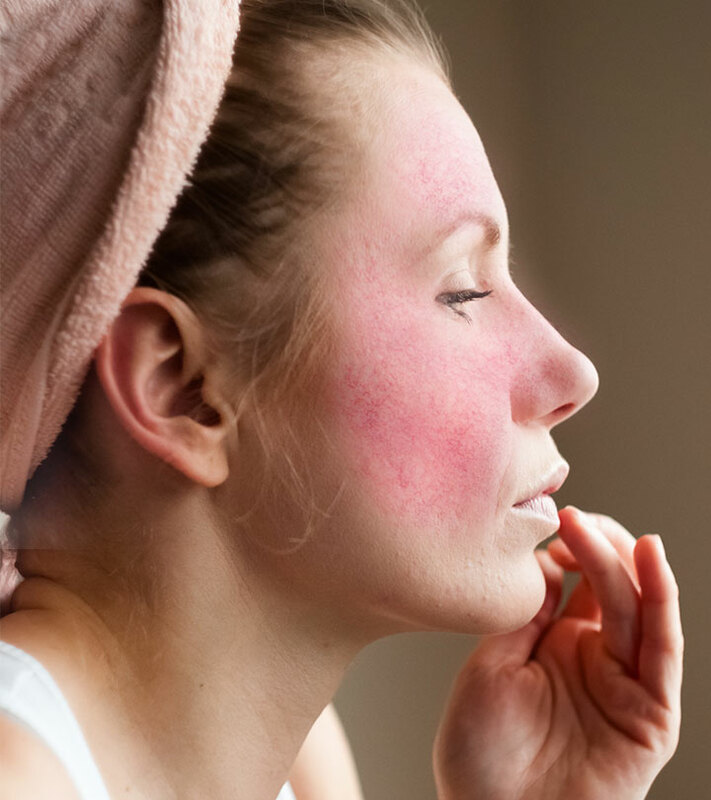 Read on to know all about rosacea and how you can manage it. Rosacea is an inflammatory chronic skin condition. It usually affects the face and is more common in fair-skinned people. Most affected individuals confuse rosacea with acne, eczema, or skin allergy due to which treatment can be delayed. Rosacea tends to worsen with time if left untreated for too long. While this condition can affect people of any age, it usually affects middle-aged fair-skinned women. Let’s take a quick look at the symptoms. One of the most prominent signs of rosacea is that your cheeks and sometimes your chin, nose, and forehead become red. In rare cases, your chest, neck, ears, or head may also become red. These symptoms can be mild to severe, and you may see them come and go from time to time. However, leaving rosacea untreated can cause these symptoms to become permanent. Doctors and researchers are yet to determine what exactly causes rosacea. The following factors are believed to play a significant role in causing this condition. Mites – There are mites (insects) living on all our faces. But some individuals may have more of them, which may cause irritation. Bacteria – A bacteria type called H. pylori lives in your gut. It can, at times, raise the levels of a digestive hormone called gastrin in your gut. This increase can cause your skin to look flushed. Age – Those between 30 and 50 years of age are at a higher risk, though other ages can be affected as well. Gender – Women are more affected than men. Rosacea is classified into four major types based on the symptoms each type exhibits. Papulopustular Rosacea: This type causes redness and swelling of the skin that may also be accompanied by breakouts that look like acne. Phymatous Rosacea: It exhibits symptoms like thickening of the skin and a bumpy or coarse texture. Ocular Rosacea: Individuals affected by ocular rosacea may look like they have a stye. It is known to cause irritation and inflammation of the eyes and swelling of the eyelids. There is no cure for rosacea, but treatment can help manage most of its symptoms. Here’s a list of home remedies for those looking for natural alternatives to manage rosacea. Add a teaspoon or two of raw apple cider vinegar to a glass of warm water. You can add honey to improve the flavor of the mixture. You can consume this once daily before meals. 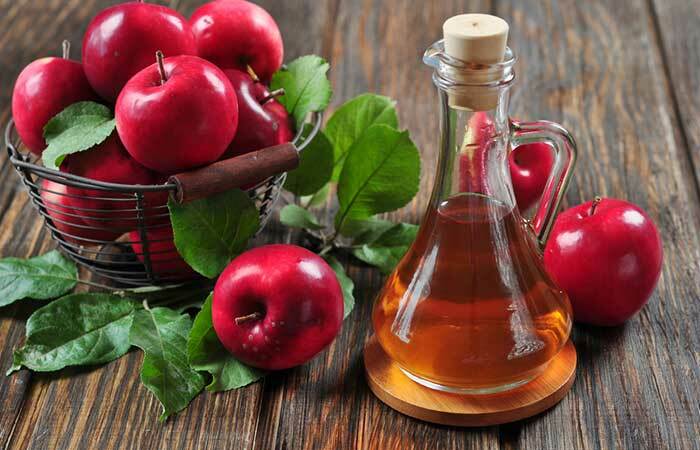 The powerful anti-inflammatory properties of apple cider vinegar are no secret. Many individuals swear by it to treat inflammatory conditions like rosacea (5). Take 250-500 mg turmeric supplement daily. Alternatively, you can mix a teaspoon of turmeric powder with water and drink it. You can also make a paste of turmeric with yogurt and apply it to the affected skin. You must take turmeric once daily for its anti-inflammatory benefits. Seek your doctor’s advice before taking the supplement. 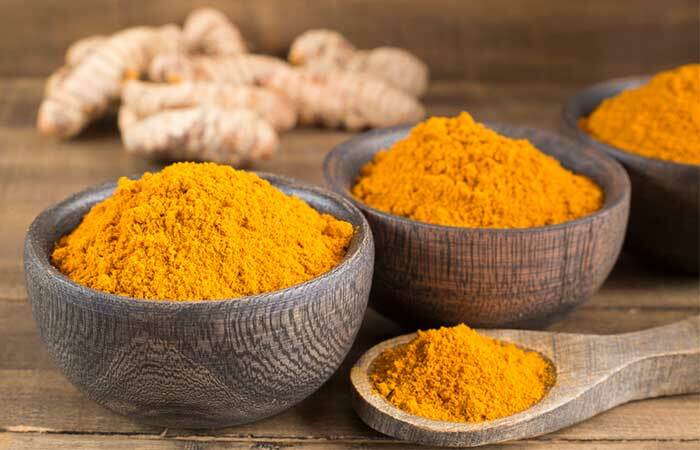 The curcumin in turmeric imparts exceptional anti-inflammatory properties to it (8). Turmeric can soothe inflammation whether it is consumed or applied topically. Add 1 to 2 inches of ginger to a cup of water. Simmer for a few minutes and strain. Drink the hot ginger tea once it cools down a little. You must ideally drink this 2 to 3 times daily. 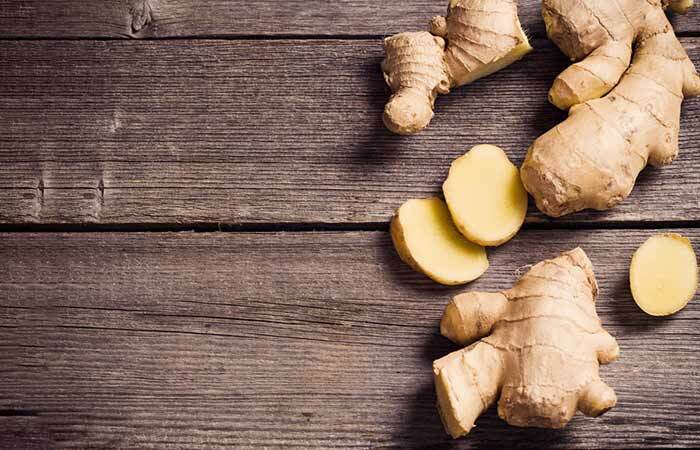 Gingerol, the active compound in ginger, exhibits anti-inflammatory activities that can alleviate swelling, inflammation, and redness caused by rosacea (9). 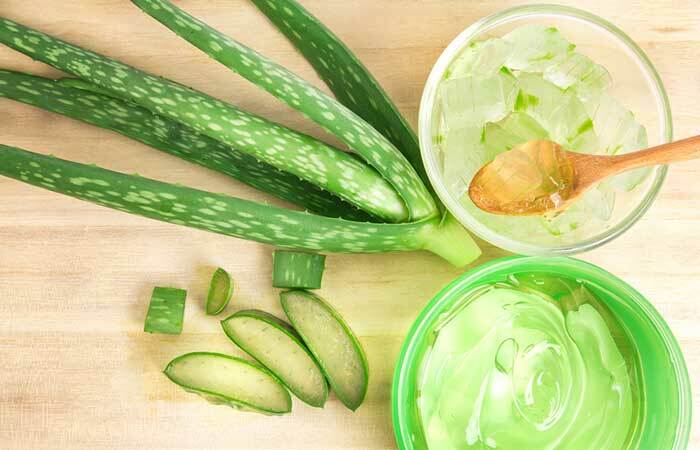 Take some aloe vera gel and apply it to the affected skin. Leave it on for 30 to 40 minutes and rinse it off. Apply aloe vera gel to your skin twice daily. Aloe vera exhibits wonderful anti-inflammatory and healing properties due to its beneficial composition. It is thus another great option to manage rosacea symptoms (10). Take some raw honey and apply it evenly to cleansed skin. Raw honey has been used for centuries to treat various skin problems (11). 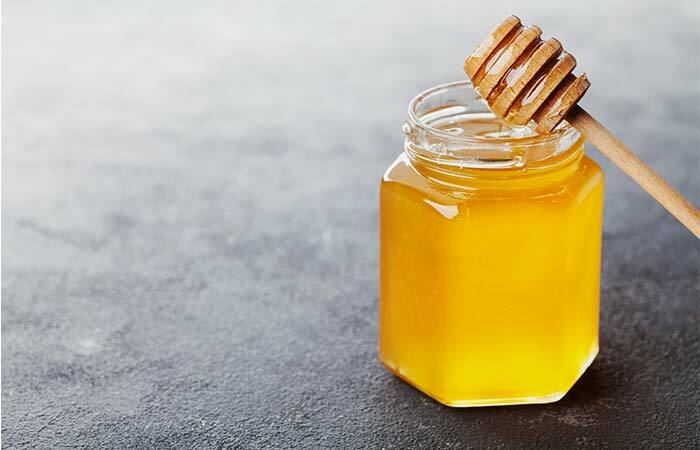 Honey has anti-inflammatory and healing properties that help manage the symptoms of rosacea (12). Add one to two teaspoons of burdock root to a cup of water. Simmer for about 5-10 minutes and strain. Allow the tea to cool down for a while and then drink it. You must drink this 2 to 3 times daily for a couple of weeks to see results. 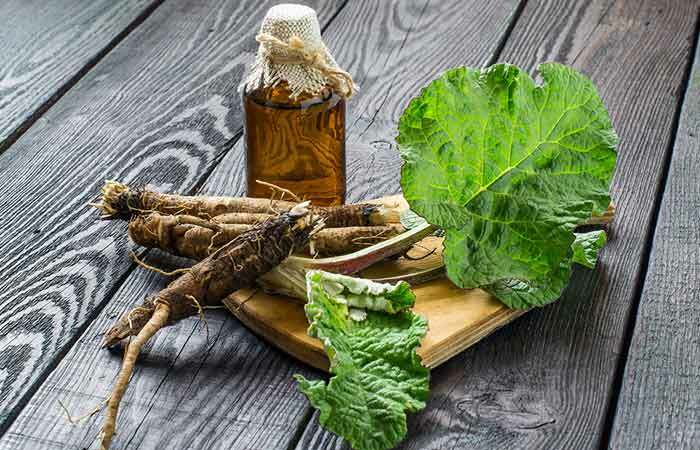 Burdock has anti-inflammatory properties that can help reduce swelling and inflammation in your body (13). Add one to two teaspoons of chamomile tea to a cup of water. Bring it to a boil in a saucepan and simmer for a few minutes. Strain and allow the tea to cool a bit. You can also use chamomile tea as a toner or compress. You can drink chamomile tea twice daily. 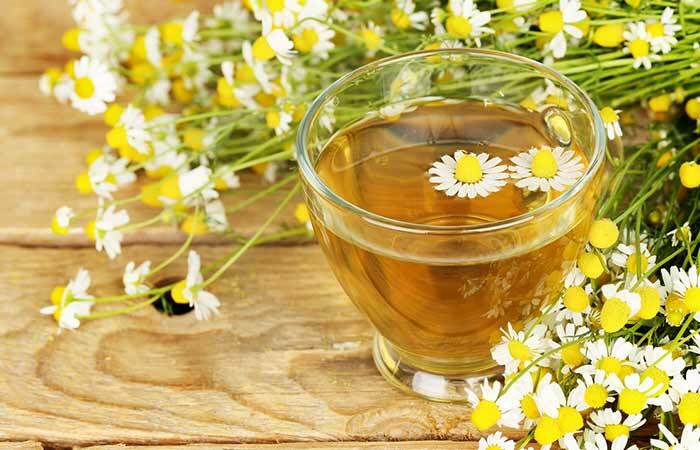 Chamomile is an herb with medicinal properties. It contains volatile oils that possess anti-inflammatory properties, which can help in dealing with the symptoms of rosacea (14). Pat your skin dry and apply some comfrey oil/cream to it evenly. 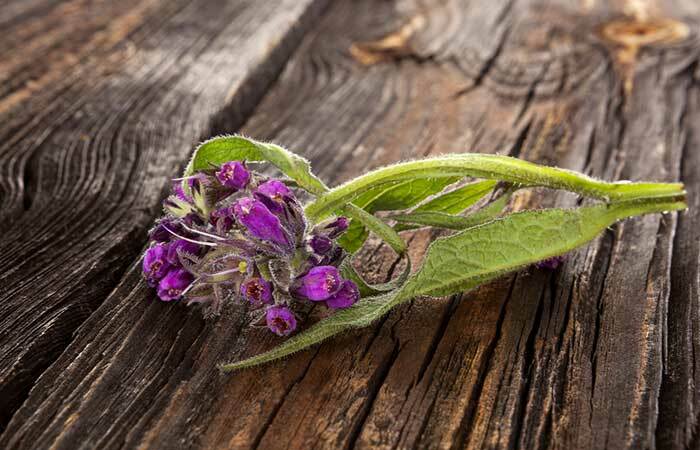 Comfrey contains compounds like allantoin and rosmarinic acid, which exhibit soothing and anti-inflammatory properties that can help soothe swollen and inflamed skin (15). Add a teaspoon of green tea to a cup of steaming hot water. Steep for 5 to 7 minutes and strain. Refrigerate the green tea for an hour. Soak a cotton ball in some cold green tea and apply it all over your face. Leave it on for 30 minutes before washing it off. 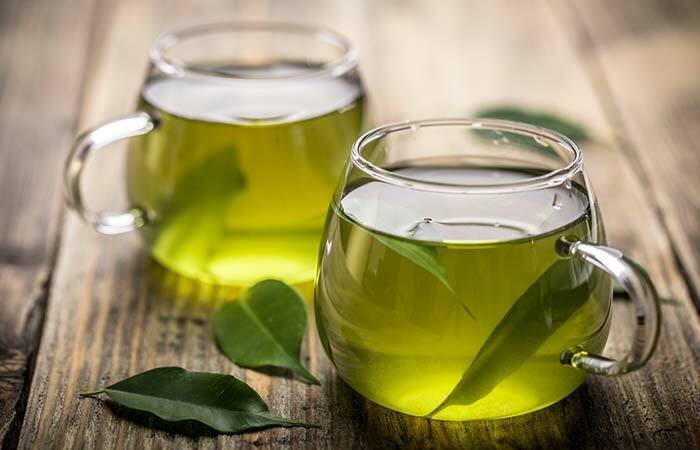 Green tea polyphenols possess anti-inflammatory activities that can help reduce inflammation, swelling, and redness that surface with rosacea (16). Grind half a cup of oats. Blend the powdered oats with one-fourth cup of water. Apply the oatmeal mixture to the affected areas. You can apply an oatmeal mask twice weekly. 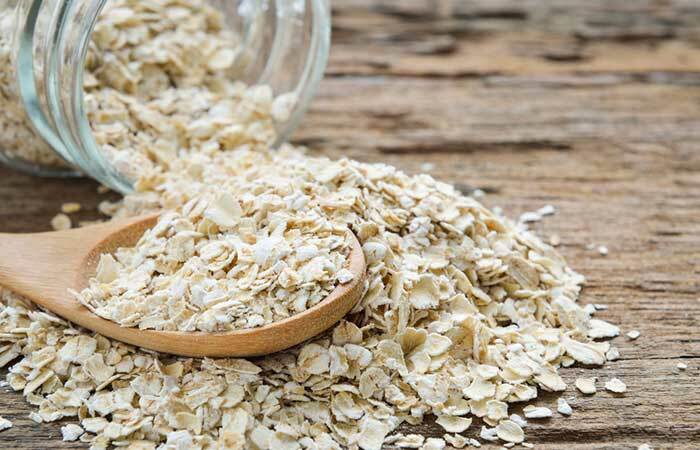 Oats contain phenolic compounds called avenanthramides that exhibit anti-inflammatory and anti-itch properties. These activities can help reduce inflammation, swelling, and irritation caused by rosacea (17). In addition to these remedies, following an anti-inflammatory diet can also help a great deal in alleviating the symptoms of rosacea. You can also follow a few tips to prevent your condition from worsening. These tips involve making simple changes to your lifestyle. Always wear a sunscreen with SPF 30 or more. Protect your face with a scarf during extreme winters. Refrain from rubbing or touching your face too often. Avoid using products that contain alcohol or any other skin irritants. Use a moisturizer if your skin is too sore. Use non-comedogenic cosmetics and skin care products. Practice yoga and breathing exercises to manage stress. Do low-intensity exercises that do not leave you feeling exhausted. Individuals suffering from rosacea should aim at soothing their irritated skin first as not doing so can cause permanent damage and scarring. So, go ahead and try the tips and remedies given here to manage rosacea flare-ups. If you see no positive results despite doing this, you must seek treatment from a dermatologist immediately. If you have any more queries to be addressed, ask us in the comments below. Rosacea cannot be cured, but early treatment can help in controlling and managing the signs and symptoms of this chronic skin condition. What is the best antibiotic for rosacea? Your doctor may prescribe low-dose antibiotics like tetracycline, doxycycline, and minocycline because these medications exhibit anti-inflammatory effects. How can I reduce the redness on my face fast? You can reduce the redness on your face by following any of the remedies discussed in the article and sticking to the prevention and diet tips. 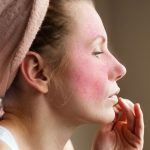 Does rose water help rosacea? Yes, rose water can also help in dealing with rosacea symptoms with its soothing properties. It is ideal for those with sensitive skin. When to visit a dermatologist for rosacea? 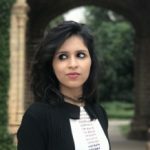 If the remedies and tips mentioned in this article do not soothe your symptoms, it is best to consult a dermatologist immediately for medical assistance to treat your condition.